Beechfield Signature 5 Panel Mesh Snap back this is on-trend and popular our younger customers both male and female. 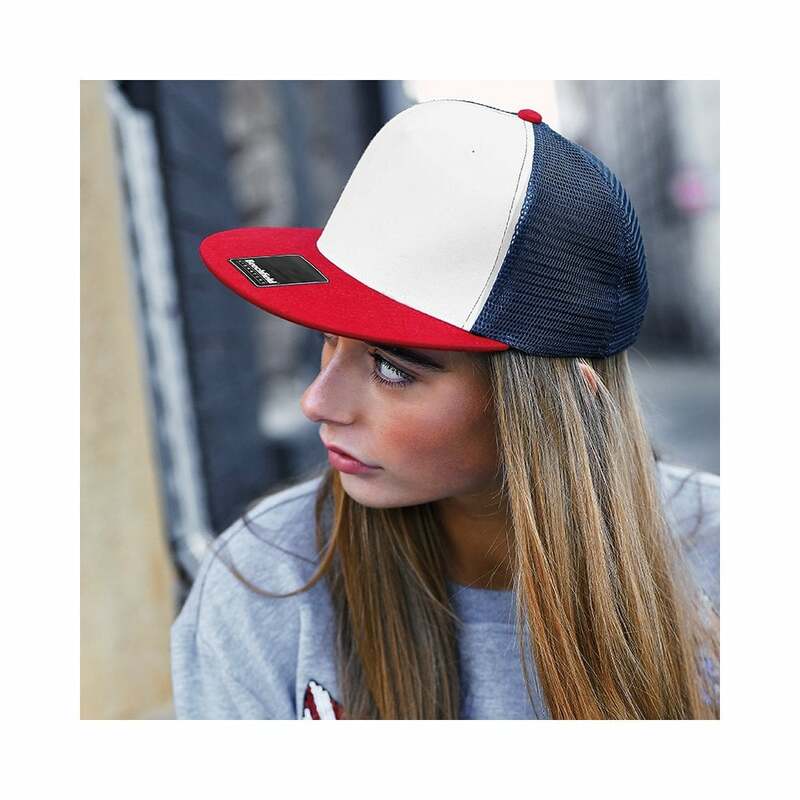 It is made from 100% brushed cotton and features a fully adjustable premium snap back closure. 8 row top stitched flat visor and cotton bias taping and sweatband. This cap is available in 9 bright colours.